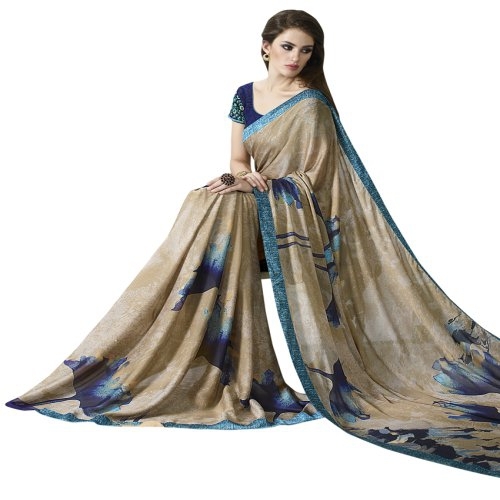 Look charming and beautiful by draping yourself into this Beige and Blue color casual wear Floral printed saree. 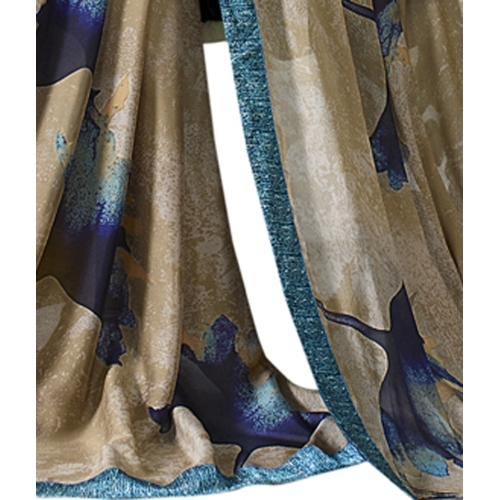 This georgette saree is gracefully enhanced with fancy print work which is the main highlight of the attire. 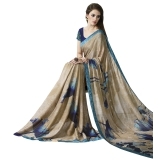 This saree is an ideal attire for all casual and social events. The saree comes along with raw silk fabric designer unstitched blouse piece.